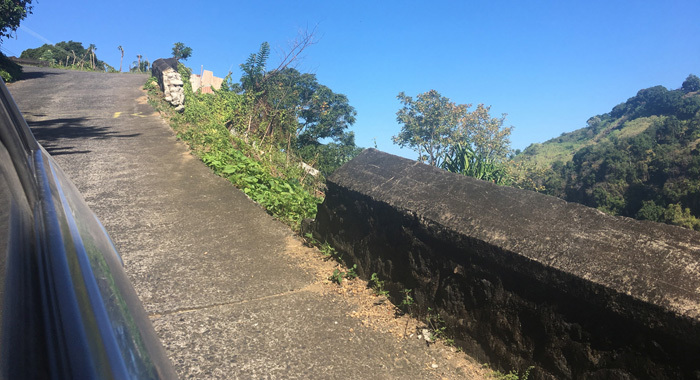 Almost five years after parts of a retaining wall collapsed in Coulls Hill, creating a public safety hazard that later claimed four lives in two accidents, the government has begun repair work there. 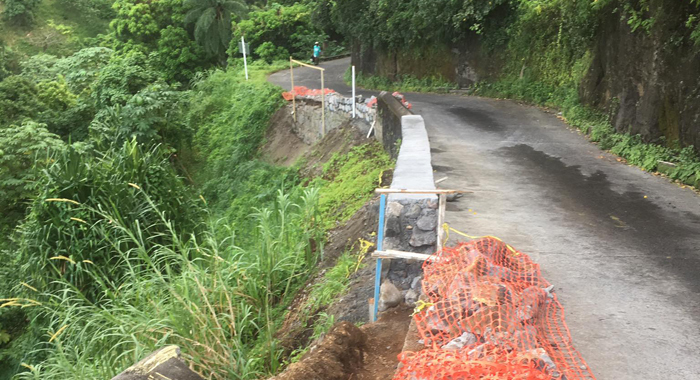 A landslide damaged a section of the retaining wall during the passage of the Dec. 24, 2013 trough system, which claimed 12 lives across St. Vincent and the Grenadines. On June 28, 2015, three members of the Johnson clan of Spring Village died when the car in which they were travelling plunged off the road at the broken retaining wall and landed on another section of the road about 150 feet below. George Johnson, 89, his daughter, Vinola Icyna Ollivierre, 65, and Ollivierre’s grandson, Leon Jr. Denzil Johnson, 22, died in the accident, which occurred while they were returning home from Chateaubelair where they attended the funeral of their relative, Shardine Monica Johnson, who was murdered in that North Leeward town on June 7, 2015. 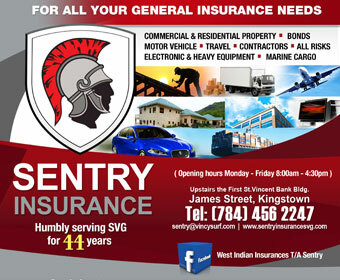 That accident occurred one year after a Vincentian who was visiting from overseas died when the vehicle in which she was travelling plunged over the same cliff. Member of Parliament for North Leeward, Roland “Patel” Matthews had raised, in parliament, several times the issue of the damaged roadway. In response to a question by Matthews, Minister of Works, Sen. Julian Francis, told Parliament in April 2017 that the road would get a temporary fix soon. Matthews had told lawmakers that sometime before his question, the skilful driving of a school bus driver averted what could have been a major catastrophe at the same section of the road. In July 2015, as the election campaign heated up, Carlos James, a first-time candidate of the ruling Unity Labour Party who would fail in his bid to make Matthews a one-term Member of Parliament, accused Matthews of playing politics with the tragic death of his constituents. In a post on Facebook on Thursday, Matthews welcomed the repairs to the retaining wall, although he noted that they were taking place almost five years after having been damaged. “As MP for the area I used all available forums to highlight the major safety concerns that the damaged wall presented. Four persons met their deaths at this spot on two different occasions,” he said. He said that the minister of works had given all kinds of answers over the years. “The responses he gave included (1) the road is not safe and will have to be realigned. (2) the road will cost millions to do (3) a consultancy firm is doing analysis to determine the best way to deal with the issue and other comments. “Today what is happening in Coulls Hill is simple … the wall is being rebuilt using the resources of the Braggsa (sic) team. The work is ongoing for about three weeks now and is almost completed. 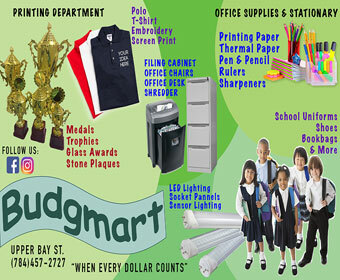 “What I find interesting is that the workmen are local to NL; there is no big time consultant as we were told. The wall, in my opinion, is much safer than it was before. I give all credit to Mikey, Tampy, Kench and the others from Braggsa NL who are putting their collective skills to work to rebuild a more safe and reliable wall,” Matthew said. He questioned the delay in repairing the damaged retaining wall. “Why did it take the government five years to rebuild this wall? Why was the minister making all the excuses knowing that he wasn’t doing any of what he said was holding up the rebuilding process? Could lives have been saved if this rebuilding was done in the due course of time? Answers to these questions are up to you to determine,” Matthews said. Where did they find the money to repair this road? Isn’t it more important to send our high Government officials overseas in First-Class luxury? Maybe they got the money by laying-off one of the chauffeurs for two weeks in one of our overseas missions. These so called roads need to be made wider.I am sure all Vincentians will agree with me,nothing has been done for years.How many major accidents will it take for the so called People in power to act?